The Karnataka coalition government increased the state tax on petrol and diesel by 2 per cent with effect from January 1, said an official statement on Saturday. "As the fuel prices declined after fall in crude oil rates in the overseas market since November, the state tax has been revised 2 per cent to 32 per cent on petrol and to 21 per cent on diesel since January 1, 2019," said a statement by the chief minister's office here. The state government had on September 17 reduced its tax on petrol to 28.75 per cent from 32 per cent and diesel to 17.73 per cent from 21 per cent in a bid to give relief to the people from on soaring international crude oil prices. 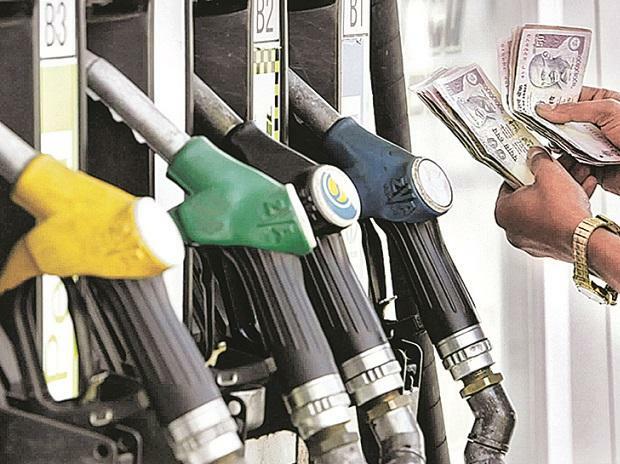 "The Union government also reduced on October 5 central excise duty on petrol and diesel by Rs 1.5 per litre and directed the state-run oil marketing firms to cut petrol and diesel by Re 1 per litre for sparing the public from higher cost," recalled the statement. In the state budget for this fiscal (2018-19), Chief Minister H.D Kumaraswamy, who also holds the finance portfolio, increased the state tax on petrol by 2 per cent to 32 per cent from 30 per cent and on diesel to 21 per cent from 19 per cent with effect from July 15 despite protests and public resentment. The increase in the state tax, however, drew flak from the opposition BJP, whose legislator Arvind Limbavalli from the city's northeast Mahadevapura assembly segment termed it a daylight robbery by the son (Kumaraswamy) of the soil and his holy government. "While the central government is working on reducing the price of petrol and diesel @hd_kumaraswamy's government has increased tax on them by Rs 1.60 per litre. Tell me one good thing this government has done to Kannidagas in the last 6 months (since it came into being in May)," said Limbavalli in a tweet.